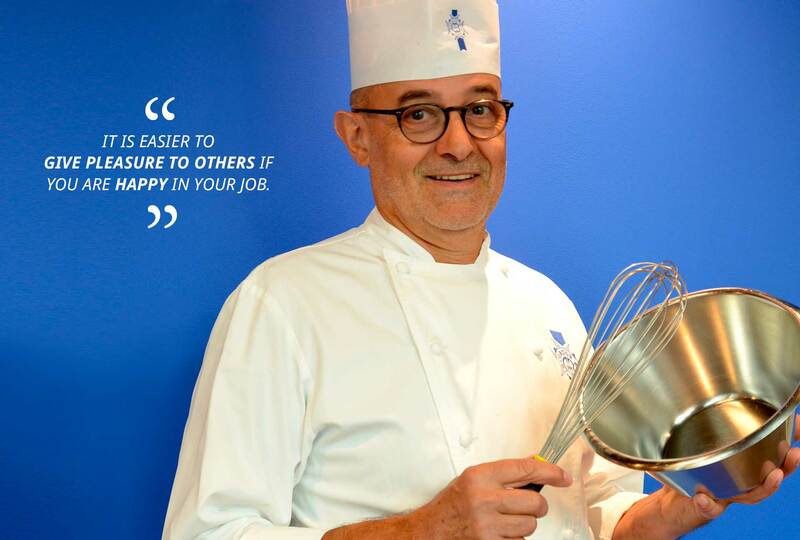 Chef Tranchant begins his career in pastry by working all over France before joining Le Cordon Bleu Paris in 2006. I didn’t really have a preference for pastry or cuisine. I started studying pastry, continued with it as my career and never changed! Is there a Chef who inspired you during your career? Chefs encountered at the beginning of one’s career are often those who are sources of inspiration. Personally speaking, chef Leduby, Pastry MOF (Best Craftsman in France), had a great influence over my professional career. You have traveled during your career, to Seoul for example. Can you tell us how beneficial this was to you? I was a pastry Chef Instructor at Le Cordon Bleu -Sookmyung Academy in Seoul. Generally speaking, travelling is always extremely beneficial! It allows you to see the world differently, to exchange with others and to evolve. More specifically, I loved Asia for its sense of calm, how desserts are seen by Koreans and how they make their pastries using local ingredients. A good Chef must be logical, pedagogical, take a firm stand and have very good people skills. The quote “an iron fist in a velvet glove” is extremely representative. I would suggest that they travel in order to gain experience on both a professional and personal level. I would also advise trying to work in restaurants where you think you will have the opportunity to evolve rather than just aiming for renowned establishments. It is easier to give pleasure to others if you are happy in your job. What do you think of the recent wave of interest in cuisine (TV shows, competitions…)? The current trend in pastry is very much visual. Sometimes the visual aspect is favored over taste. Taste must not be sacrificed! I also think it is important to make sure that savoir-faire and classic culinary techniques are passed from generation to generation even if tastes and flavors evolve in line with the products available. I like everything! I particularly enjoy poultry and fish. Light, vegetable based dishes and salads are also favorites of mine. I only eat substantial meals on festive occasions. I love tarts, especially seasonal fruit tarts! Is there one ingredient in particular that you have enjoyed working with during your career? I like working with apples as they have a very pleasant texture in the mouth, great flavor and there are a number of different varieties available. What do you usually have in your refrigerator? Most of the time there will be salad, eggs and fresh vegetables. Apart from French cuisine, what is your favorite type of cuisine? Asian cuisine and in particular Chinese cuisine as it is extremely varied. I also love Japanese sushi! Thank you , Chef, for giving us this interview. Chef Vaca joins Paris team in 2012 after a career in renowed establishments and in Australia.